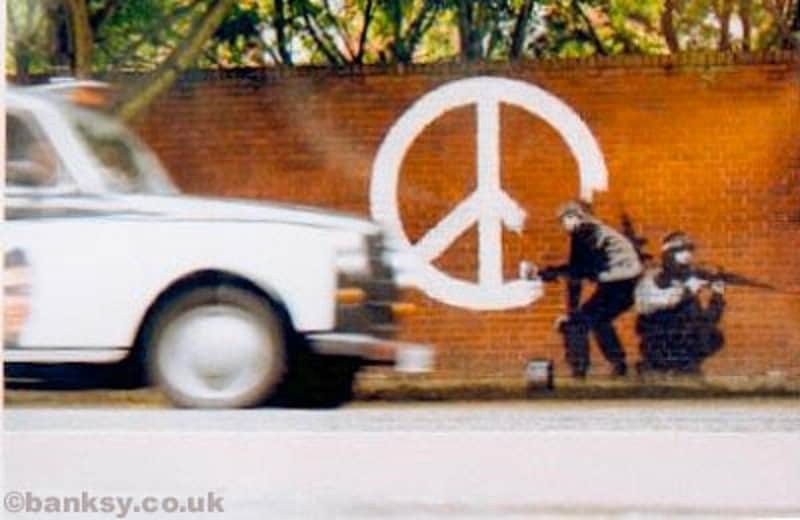 Banksy has become a living legend in our time. No one knows who he really is or where they can find his next piece of work, factors that help his legend grow even further. 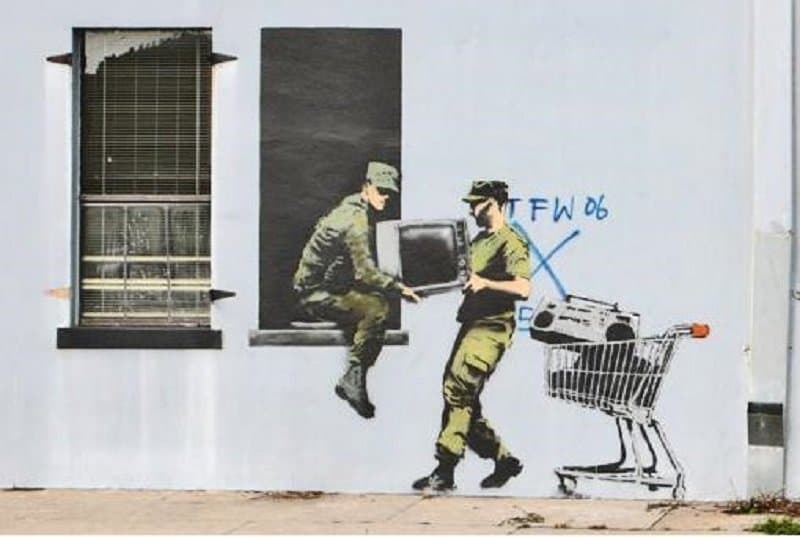 Banksy practices the under-rated form of street art, but his messages are extremely powerful and deeply rooted in the problems of our generation. He is insightful, grounded and ambitious, making him a true artist in this commercialized world. 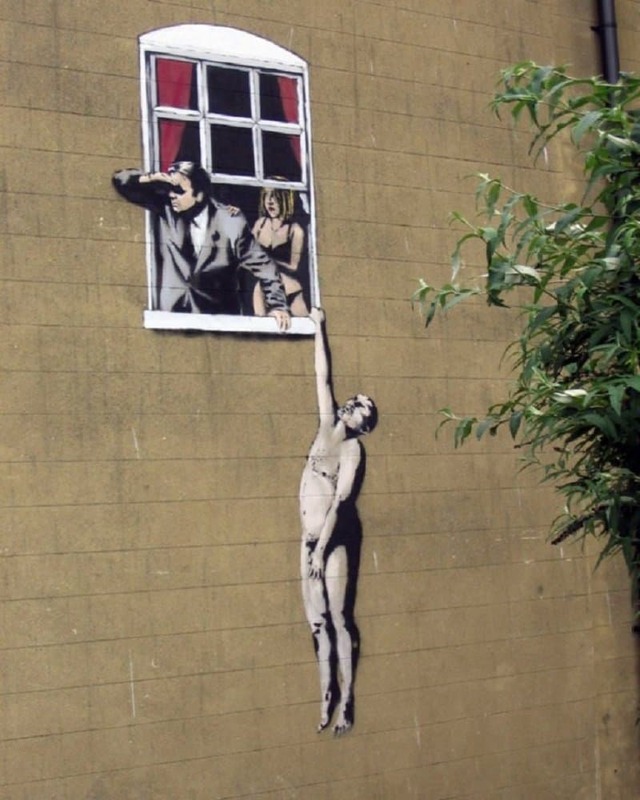 This list features some of Banksy’s best works from around the world. This hilarious piece was found near Bristol, England, on the wall of a sexual health clinic on Park Street. He addresses the problems of sexual health by bringing to light the burning desires within us that make us do terrible things. You can find this piece on Tottenham Green road in London. 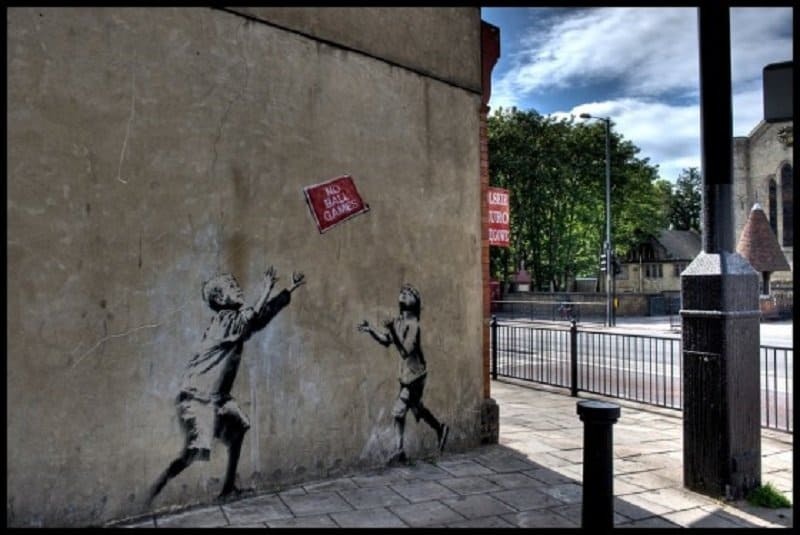 The message here is pretty clear – children have lost the privilege of playing on the streets. It used to be one of the biggest components while growing up not too long ago, but the rise in social paranoia along with a host of problems that directly affect children, this simple activity has lost its place in society. 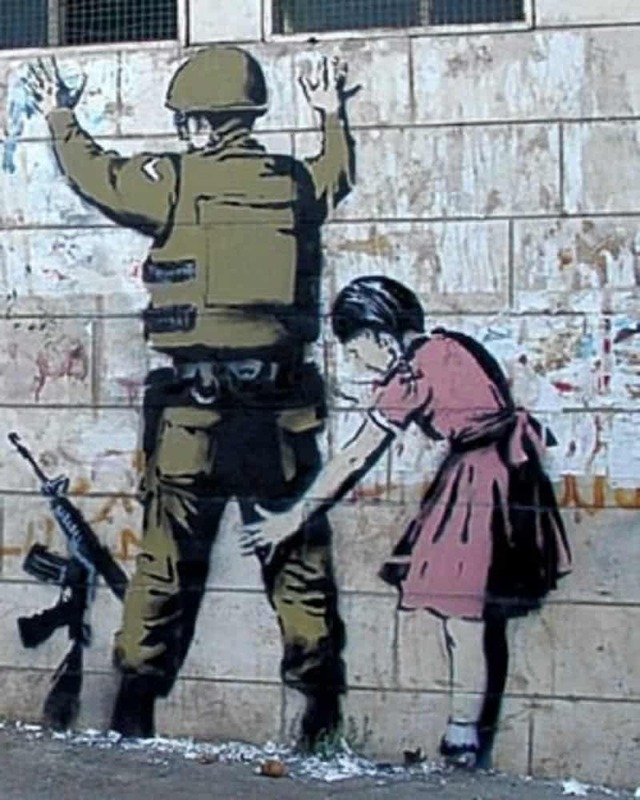 This beautiful piece was created near the Israeli West Bank Barrier and brings attention to the people who are meant to protect the public. Do they have our best interests in mind, and can we really trust them? This powerful piece was created in New Orleans after the third anniversary of Hurricane Katrina. It makes us question who the real looters in our society really are. Banksy has constantly turned to using monkey’s to depict human behavior as they are just one step behind us in the evolutionary chain. This piece was found near Waterloo station in London and talks about the constant and mindless destruction by humans towards the things we need the most. 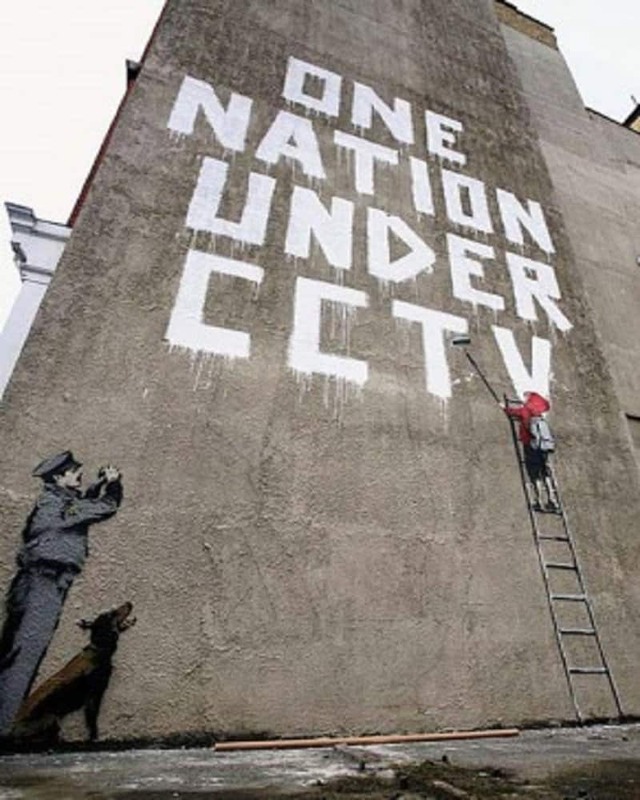 This piece was found near West End, London, and brings to light the familiar theme of universal surveillance. Is this the best way forward, and are we safe under this format? 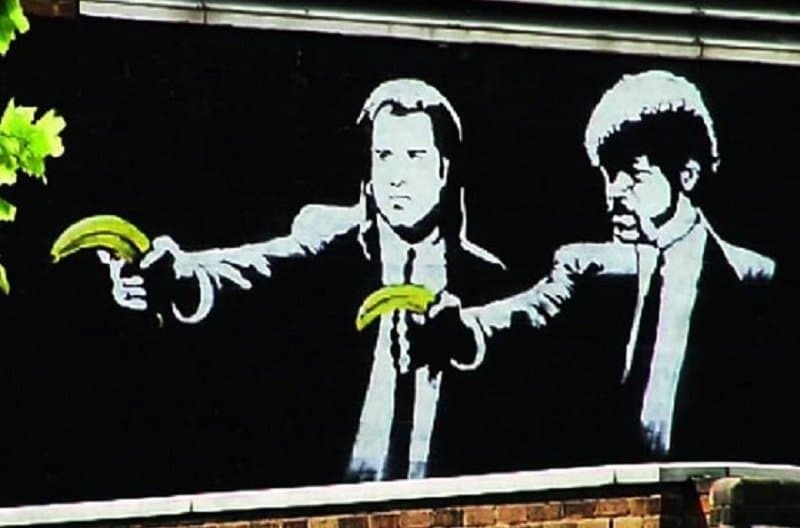 This is Banksy’s take on the popular film ‘Pulp Fiction’. This piece was originally created near old street tube station in London, but the government ordered the piece to be taken down pretty quickly. 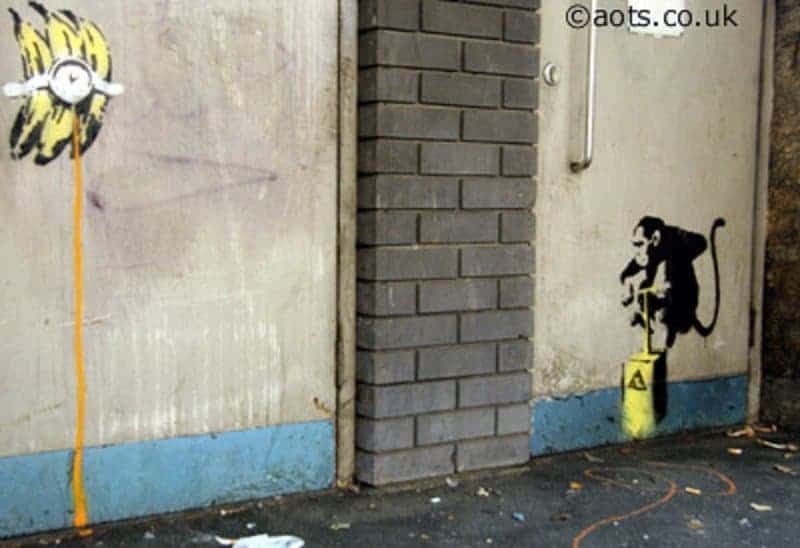 Another animal that Banksy turns to to make a point are rats. In this piece of art that could be find near Broadway and Howard, New York, he talks about the vicious beasts that drive corporate America without any boundaries or morals. Another powerful piece found on Old Street London, this one juxtaposes the symbol used by the Campaign for Nuclear Disarmament with the universal symbol for peace. 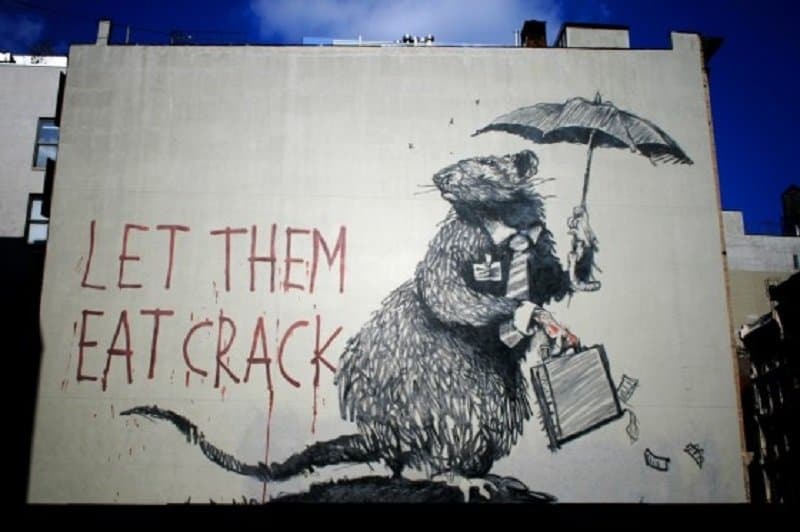 This is yet another piece where Banksy has used rats to make a point. 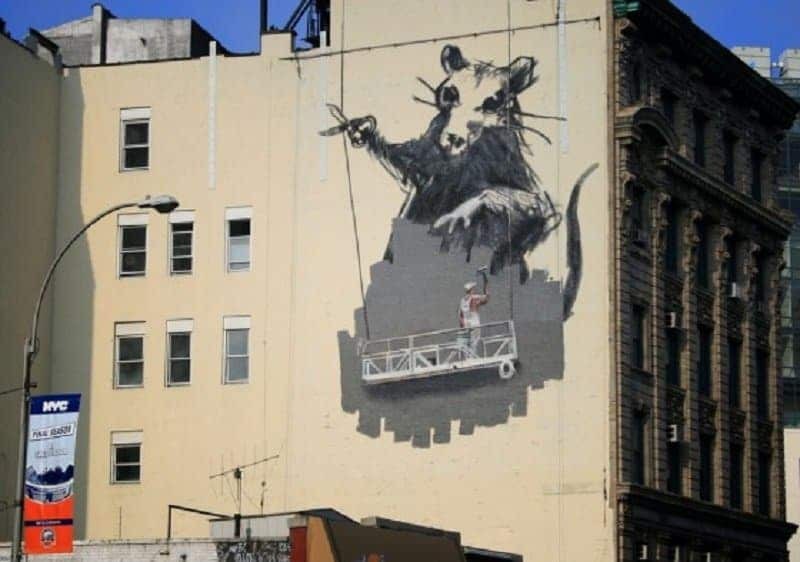 You can find this piece near Chinatown, New York, and it talks about the supreme overlords of society, cutting the strings that keep the common man afloat without any conscience.